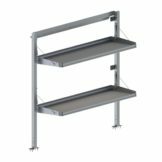 At Ranger Design, we’ve been listening to the needs of mobile technicians for the past 25 years. 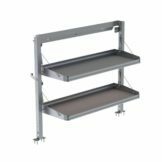 We’ve learned that some tradespeople or delivery professionals need an upfit that allows maximum versatility. 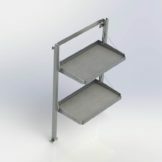 For them, we’ve engineered the Fold-Away van shelving system. 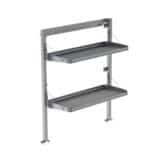 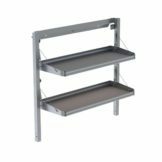 Aluminum fold-away shelving features fold-away shelf trays with gas shocks and hardware and comes in various sizes and weight capacity for all sorts of needs. 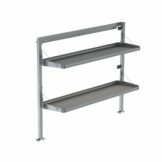 Our cargo van fold-away shelving is designed to provide you with more space to work, allowing you to be more efficient on the job. 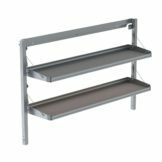 You can stop wasting time looking for tools and focus on what really matters: getting the job done. 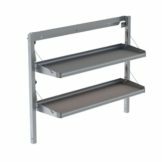 Check out our selection of fold-away shelving below.